This race has a maximum registration cap of 175 entrants. Please note kit-pickup time will occur at the St. John's Running Room, #9 Rowan Street on Wednesday, February 20 between 5pm and 8pm. Additionally, Saturday kit-pickup will take place at Holy Cross Elementary School at Pre-Race Check-In between 9am -9:45am. If you do not pick-up your kit at the Running Room it will be at the School. Holy Cross Elementary is located on 81 North Side Road. If travelling from St. John's please use the new roundabout to proceed towards Holyrood Harbour. North Side Road runs along the Holyrood Harbour (west side) which you will find the Marine Institute and Holy Cross Church. Drive North Side Road until you find the church and then take your next left. Park in the parking-lot and come into the gymnasium for the pre-race instruction. · Once you have arrived at Holy Cross Elementary, please check-in at the front table in the gym and ensure you have received your race chip. · During the pre-race, if you have any garments or personal belongings that you would like kept inside the school; we will have a location within the school for you to drop off your items. Please ensure your name is attached on the handle of the bag being submitted. Note: All items must be in a closable bag; we accept no liability for lost or misplaced objects. 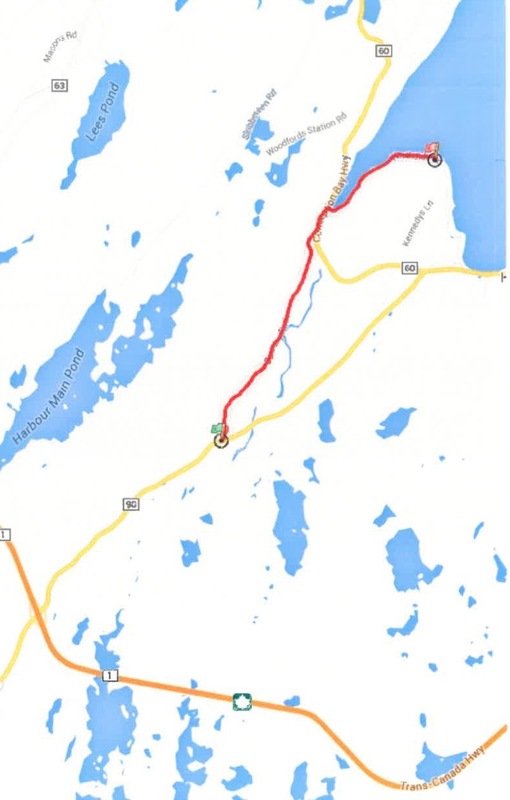 · The Town of Holyrood will provide two (3) busses. Both will transport participants to the start line. Race Chip Timing System · Once you check in, ensure that you receive your race chip. · If you do not have a chip you will not receive a time. traffic however local street residents may use the route during the race. 1.74km and you will see the finish line (red flag). Click Map to enlarge details. celebration. The kitchen will have soup with fresh dinner rolls and sandwiches for you. · We will award 1st, 2nd, and 3rd male and female overall. · Prize draws for participants of the race.